Audeze makes some of the very best headphones on the planet. There isn't anyone out there who'd debate that. Standing tall against the Hifimans and Sennheiser HD-800s of the world, this boutique firm, a brainchild of Indian-Origin Sankar Thiagasamudram; relies on their expertise in design, engineering and craftsmanship. Audeze's award-winning headphones are known for their signature reference sound created by aligning both design and technology. They employ the finest craftsmanship for a unique design with hand-selected woods and advanced transducer technology to provide total comfort for hours on end. This results in a combination of legendary style with the world’s most advanced planar magnetic technology to deliver a listening experience that is probably the best you'd ever experience. Audeze's best-in-class accuracy makes them an irreplaceable tool for those who need the most transparent & true-to-life audio reproduction available. First discovered by audiophiles, now professional engineers and music producers like K.J Singh and A.R Rahman rely on Audeze to produce the music you love. 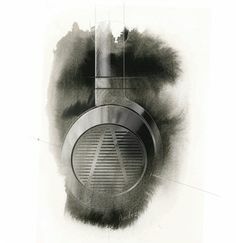 Implementing unique designs and patented technologies like the Unifor ce, Fluxor & Fazor; Audeze is widely recognized as the industry leader. Their planar magnetic headphones offer excellent performance, looks andcomfort in myriad price categories. Audeze accomplishes this by pushing the limits of technology, materials science and engineering and constantly reaching for sonic perfection. With Audeze's new, patent-pending Fluxor magnetic technology introduced in the EL-8, the brand delivers nearly double the magnetic flux density of the highest-grade neodymium magnetic circuits available. This ensures that you can now use your Audezes with your mobile devices with greater efficiency along with decreasing weight. 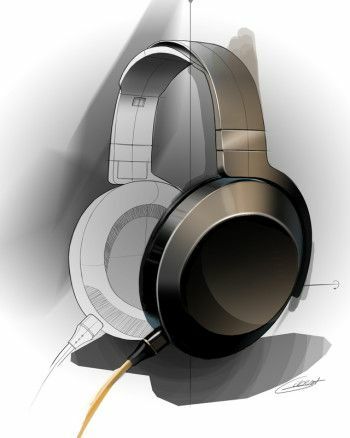 The Audeze Sine is also a product of the achievement, being the world's first on-ear Planar Magnetic headphones. The EL-8’s patent-pending Uniforce diaphragm employs an industry first - variable trace widths in the voice-coil to effectively capture variations in the magnetic field within the magnetic gaps by equalizing the forces of the individual traces, creating a uniform driving force across the entire diaphragm surface. This effectively reduce distortion dramatically, leads to higher resolution and enhanced imaging. Audeze's patent-pending Fazor technology, introduced in the LCD Collection, is also integrated into the EL-8. Fazors are special acoustical elements positioned on either side of the magnetic structure. They enhance transparency by affecting the sound waves generated by large planar diaphragms. This results in a wider frequency response, upgraded high-frequency extension & reduced distortion along with improved imaging. Audeze’s hand-tooled manufacturing process which works with high quality materials and advanced technology to create extremely accurate and unbelievable sounding headphones. Audeze headphones are engineered with the latest innovations in materials science and planar magnetic technology amalgamated with innovative acoustic design. Their diaphragms, for example, are made from a space-age material only two microns thick, with new techniques for magnetic structures and voice-coil construction. Looking at their process, it's no wonder that CNET's Steve Guttenberg aka the Audiophiliac Man has called each successive Audeze offering the best headphones on the planet. Experience the best headphones in the world.